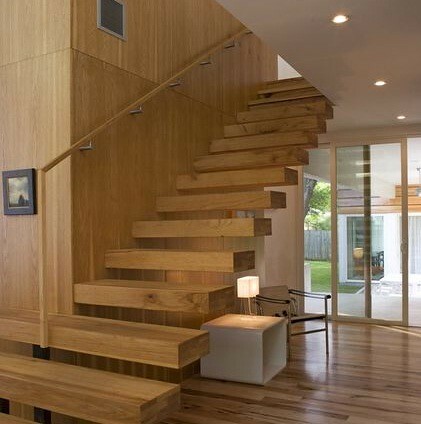 What is a cantilevered or floating staircase? 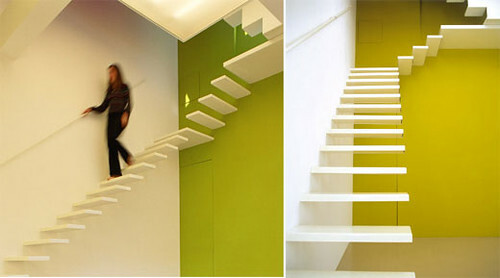 Floating staircases are a popular design stair in which the treads are fixed to a wall without visible stringers. This makes the treads appear to float , hence the name. At their most basic, you will have nothing more than staircase treads – literally coming out of the wall. With a typically floating staircase, you attach the treads to a wall which is done by driving the treads into it, or using a bracket to give the staircase treads support . Light as air and visually minimal, floating stairs present an opportunity to instill true style to this often forgotten part of the home. 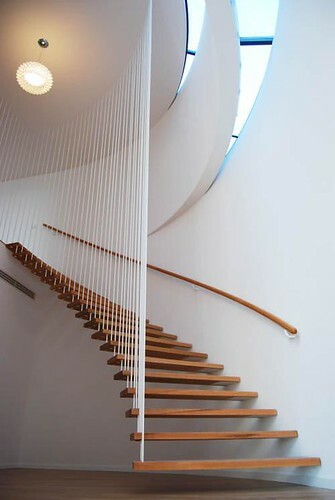 True floating staircases have something special about them and should not be produced in combination with a balustrade. 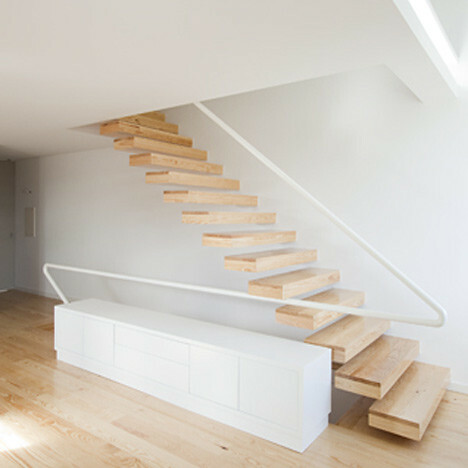 A floating staircase is shown to best advantage in a minimalist location, becoming a true eye-catcher, attracting admiration. 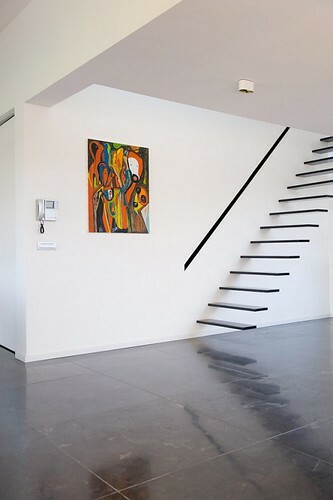 Floating staircases are usually very elegant, stylish and minimalist. They are perfect for modern interiors and for those people who like to live on the edge. Sometimes they have railings on the side, sometimes they haven’t. Ones that haven’t are defenitely dangerous so they could be used only if you haven’t kids. 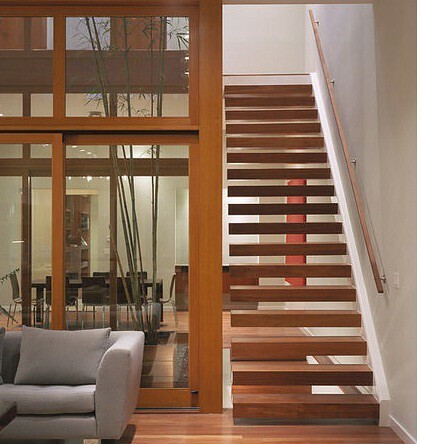 Some of floating staircases are good looking enough to become the centerpiece of the ground floor of any house. 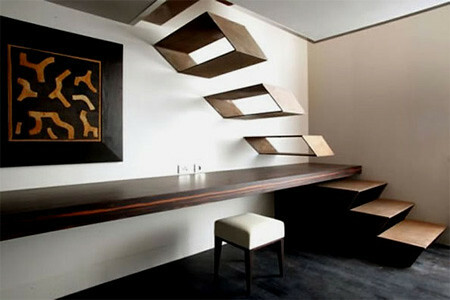 Where can I buy a floating staircase ? If you are looking to buy a cantilevered staircase , you should look no further than the local companies on internet. 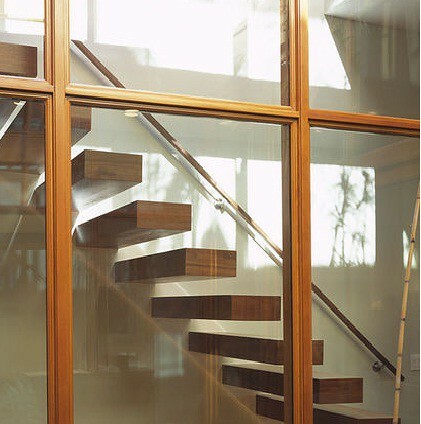 They offer supply and fitting of all types of floating staircases in wood, metal and glass tread applications. They offer budget staircase solutions as well as luxury custom made staircases to your exacting specifications. Just In case you’re thinking about designing such staircase in your home check out some of the most cool floating staircases designs we could find.